Montreal city councillors have adopted a declaration against the Quebec government's so-called secularism bill, put forward by the mayor and opposition leader. Montreal city councillors have unanimously adopted a declaration against the Quebec government's secularism bill, put forward by the mayor and leader of the opposition. 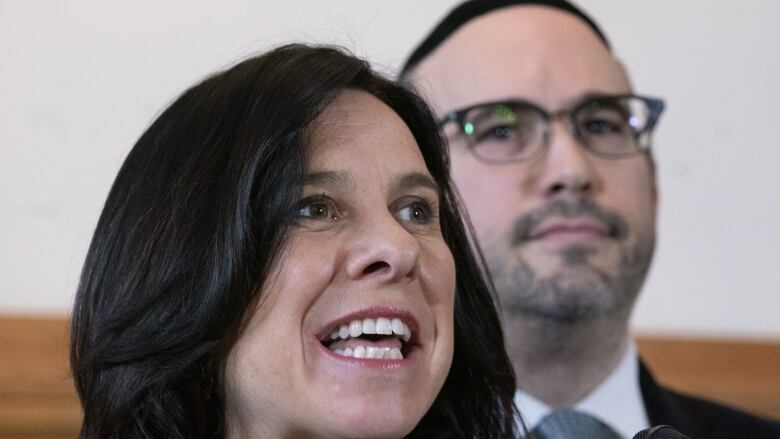 The bipartisan declaration, signed by Mayor Valérie Plante and Ensemble Montréal interim leader Lionel Perez, presents a unified front denouncing the bill, which would outlaw certain civil servants — including teachers and police officers — from wearing religious symbols at work. "The message I want to send my population is that we are there. I want to bring their voice out saying, 'You have the right to have the same opportunities whoever you are, whatever you wear,'" Plante said at a joint news conference with Perez. "It is our duty to speak up." Plante and Perez put forward a bipartisan declaration against Bill 21, which was unanimously adopted in city council today. They held the news conference before the vote. The declaration states that Quebec is already a secular society, and there is no need to legislate what employees wear. "I'm asking the Premier and the government to listen to what the biggest metropolis of Quebec, but also what different groups and people, are saying," said Plante. "I don't think it is for the majority to decide for the minority." Bill 21 is the CAQ government's proposed law that would restrict public servants in positions of authority from wearing religious symbols, such as a hijab or a kippa. "We cannot underestimate the value of the symbol of unity that we have today," Perez said. "The message that the largest city in Quebec is sending to the Quebec government on such an important societal debate." "Bill 21 does not represent open secularism. It does not represent Montreal or Quebec values." The mayor said she plans to tell the Quebec government how Bill 21 would affect the city's diverse population and way of life in a brief to parliamentary hearings on the draft law in coming weeks. Watch Mayor Plante and Lionel Perez speak about why they are taking a stand on the bill. Plante criticized the CAQ government's assertion that it would use the Constitution's notwithstanding clause, which allows a government to override the Canadian Charter of Rights and Freedoms. "It closes the debate before even allowing discussions to happen. There's no possibility of going deeper into the heart of the issue and how it's implemented," she said. The bill is facing mounting opposition since it was presented in the National Assembly by Quebec Immigration Minister Simon Jolin-Barrette. 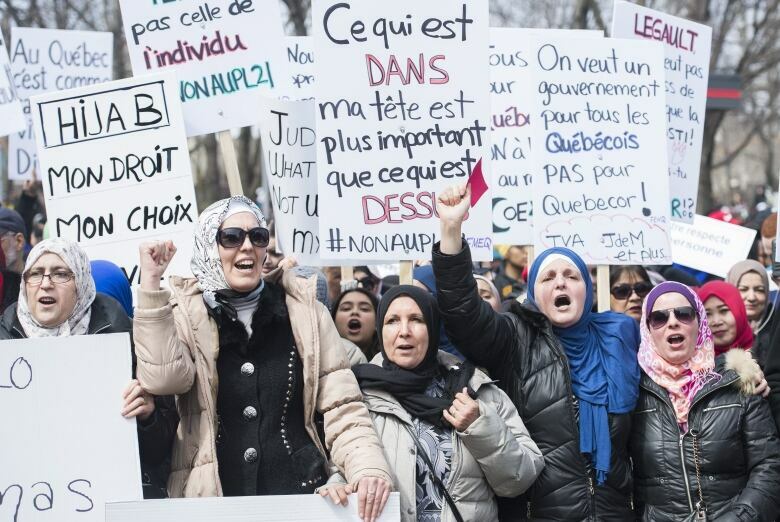 It is being criticized for impeding on people's right to practice their religion, and for its potential of dividing Quebecers and excluding minorities from public service. Last week, Plante said though she believes the bill is flawed, her administration would not defy it as a provincial law. "I am not going for disobedience, whatsoever," she told reporters in a scrum at city hall Friday. Perez, who wears a kippa, attended one of two protests against the bill in Montreal over the weekend. "It's part of who I am, it's part of what a lot of Quebecers are all about, and it's the new reality in Quebec," Perez said at the gathering at city hall in Côte Saint-Luc, citing the province's growing diversity and multiculturalism. The declaration Montreal city councillors are voting on states that the bill "does not reflect the daily reality of Montreal society which is rich and unique in terms of culture and diversity." that the City of Montreal reaffirm the inalienable character of open secularism to build the public space in the image of Montreal and of Quebec in the 21st century and to bring together Montrealers of all beliefs and of all origins. that the City of Montreal reaffirm the importance of the secularism of municipal rules debated and passed in our democratic institutions, without regard for the religion of those who make the rules, debate them or apply them. that the City of Montreal reaffirm its unwavering support for all of its employees, regardless of their religious beliefs." Plante said the declaration is one of her ways of showing the city's disapproval of the bill without engaging in civil disobedience.